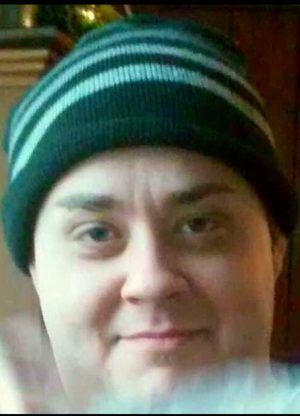 FULTON, NY – Robert L. Avery, 32, of Fulton, passed away at his home unexpectedly of natural causes on Wednesday August 17, 2016. He was raised in Hannibal and had attended Hannibal High School and Cayuga Community College. Rob enjoyed reading, music, gaming and being with his many friends. Surviving are his mother, Connie Brackett of Fulton; father and step-mother, Richard and Doretta Avery of Liverpool; and several aunts, uncles and cousins. He was predeceased by his maternal grandparents, Levi and Marjorie Brackett and paternal grandparents, Robert Avery and Elinor Avery McCann. Family and friends will be received from 4 to 5 p.m. with a celebration of life to follow on Thursday, August 25, in the Hannibal Town Hall, 824 Cayuga St. (County Route 34), Hannibal. Memorial contributions may be made to the Hannibal Free Library, 162 Oswego St., Hannibal, NY 13074 or to the American Heart Association, P.O. Box 417005, Boston, Mass., 02241-7005. Foster Funeral Home in Fulton has care of the arrangements.